International Commercial Arbitration in New York focuses on the distinctive aspects of international arbitration in New York. Serving as an essential strategic guide, this book allows practitioners to represent clients more effectively in cases where New York is implicated as either the place of arbitration or evidence or assets are located in New York. This collaborative work boasts contributors of pre-eminent stature in the arbitration field. Each chapter elucidates a vital topic, including the existing New York legal landscape, drafting considerations for clauses designating New York as the place of arbitration, and material and advice on selecting arbitrators. 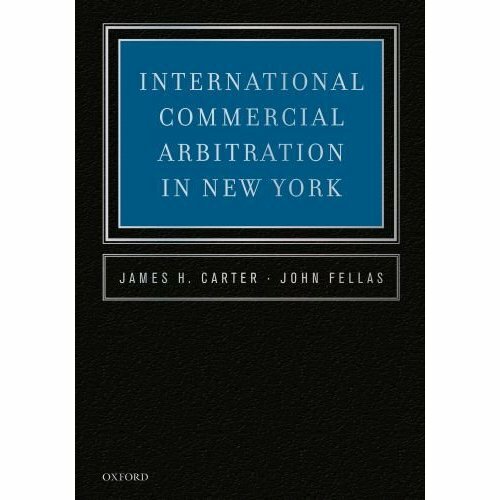 The book also covers a series of topics at the intersection of arbitral process and the New York courts, including jurisdiction, enforcing arbitration agreements, and obtaining preliminary relief and discovery. Information on class action arbitration and challenging and enforcing arbitral awards are also included, making this a comprehensive, valuable resource for practitioners.